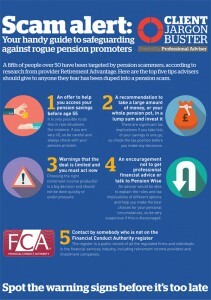 Figures released this week underline how scammers are continuing to target pension pots… to the tune of £4.7m in May alone. 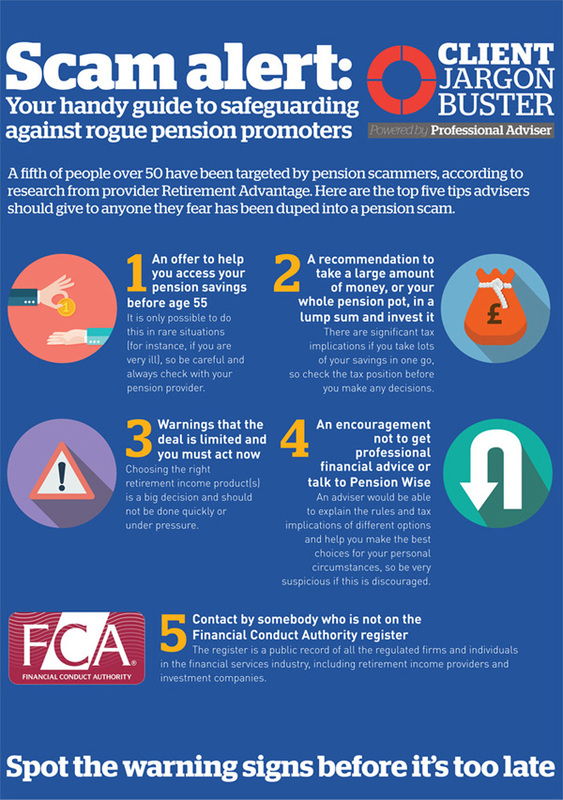 It appears that fraudsters are using tactics to aggressivly dupe savers following new freedoms, which allow over 55s to spend their retirement pots as they wish. According to reports; “Scammers will often contact victims out of the blue offering them early access to their cash, or promises of get rich-quick schemes, but the reality is they are nothing more than elaborate hoaxes designed to spirit away people’s hard earned money” said the statement from a multi-agency task force. However, the pensions minister, Baroness Ros Altmann, has said she was “not convinced” that the pensions freedoms have led to a rise in fraud. “People are a lot more aware of it, and are starting to report it. It can take a long time for people to realise they’ve lost their money,” she told BBC Radio Five Live. As Chartered Financial Planners, The Financial Planning Group work with our clients in an ongoing relationship, to ensure best practice at all times.